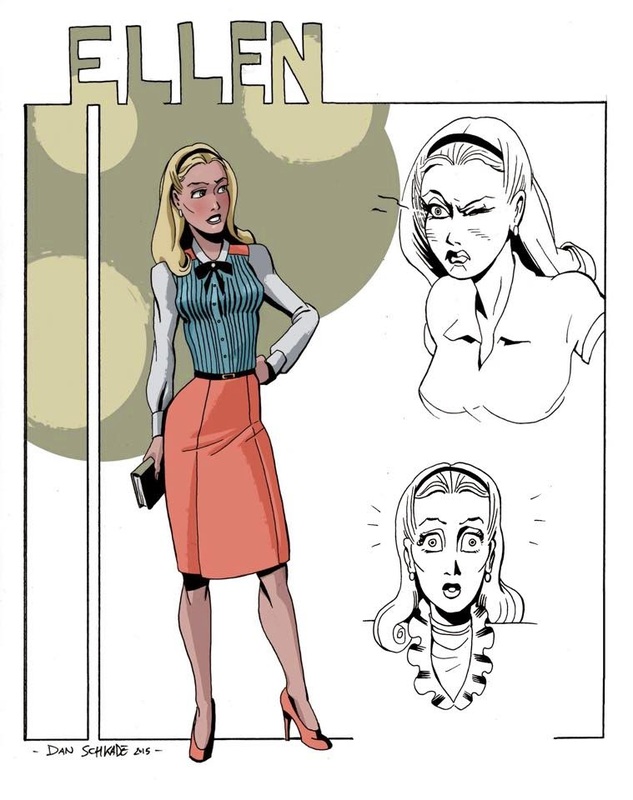 Dynamite Entertainment is proud to announce the full creative team for their upcoming July 2015 launch of Will Eisner's The Spirit. Each chapter of the initial twelve-issue story arc will feature Matt Wagner as writer, interior artist Dan Schkade, and colorist Brennan Wagner. The ongoing monthly cover artist will be Eric Powell, while the July debut #1 issue will be offered with variant cover artwork by writer Matt Wagner himself, as well as Alex Ross (Kingdom Come) and John Cassaday (Star Wars). 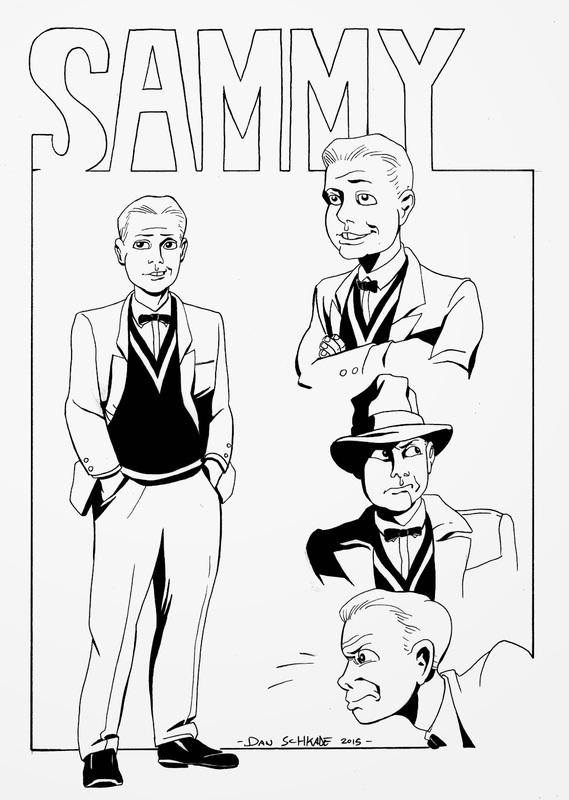 The February announcement that Dynamite Entertainment would bring backWill Eisner's legendary crimefighter Denny Colt, The Spirit, in the eponymous series generated significant fan buzz, as did the announcement that Matt Wagner, the award-winning comic book creator of Grendel and Mage (as well as writer of such mainstream successes as Batman/Superman/Wonder Woman: Trinity, The Shadow: Year One, Batman: The Monster Men, and Zorro). 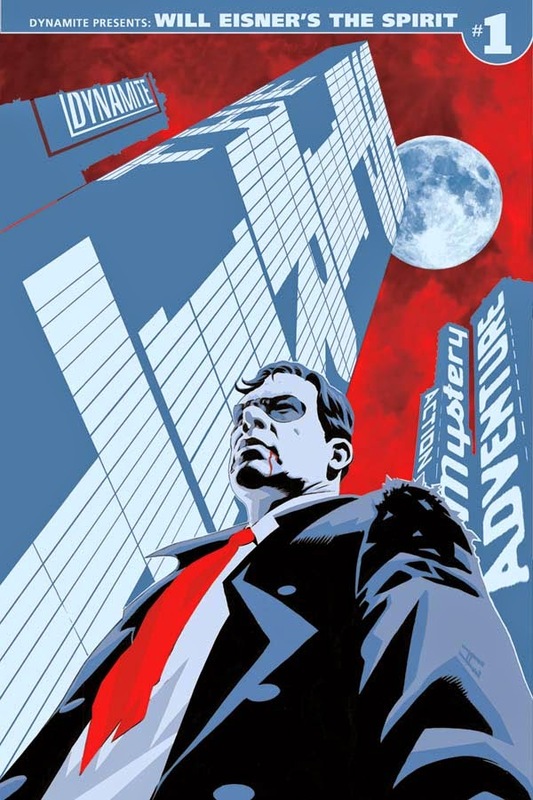 With the addition of artist Dan Schkade (of the neo-noir mystery San Hannibal) and colorist Brennan Wagner (The Shadow: Year One), the action-packed and intrigue-laden epic strives to honor the vital and prestigious legacy of one of comicdom's most talented and influential creators, as well as introduce a new generation of readers to the character. 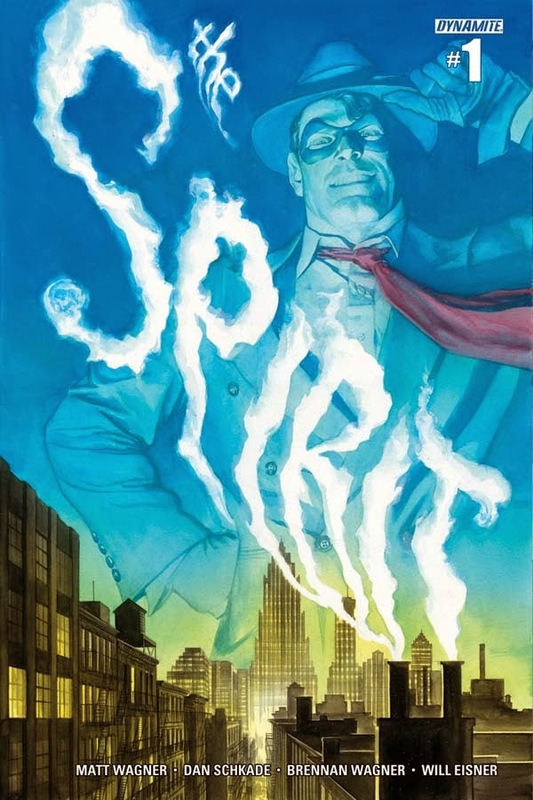 "I first discovered Will Eisner's The Spirit stories in my early teens and the effect was devastating and inspiring, all at the same time," says Matt Wagner. "I can honestly say that I'm a comics creator today due to the powerful effect Eisner's artistry had on my formative years. We've got a great team on this book with Dan Schkade and my son, Brennan Wagner, providing the interior art, and my longtime pal Eric Powell as the regular cover artist. It's a real privilege to have the chance to add to the time-honored legacy of this iconic character!" Dan Schkade, the interior artist of the upcoming series, says, "I've been a fan of The Spirit for half of my life. He's the perfect American hero: this laughing, self-made, middle class outlaw who serves his community, stands up to bullies, and loves life like only a dead man can. I'm honored, humbled, and more excited than I can describe to be working on this incredible revival." 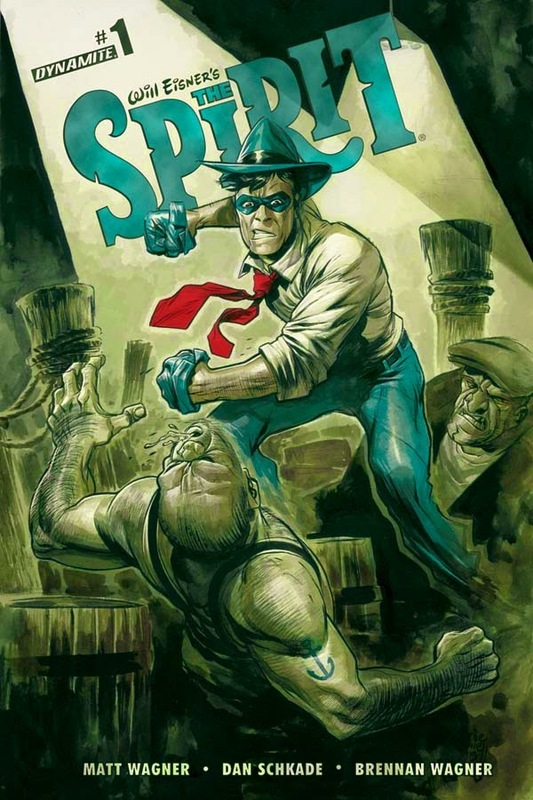 Regarding his ongoing monthly contribution to The Spirit's legacy as cover artist, Eric Powell says, "Will Eisner is one of my artistic heroes. I'm really excited to work on The Spirit for the first time!" Eric Powell is best known as the creator ofThe Goon, and for his contributions to such high-profile comic projects as Big Trouble in Little China and Godzilla: Kingdom of Monsters. "One of the most amazing creators in comics, Matt Wagner, will be joined by Dan Schkade on art, and our ongoing main cover artist will be none other than Eric Powell! 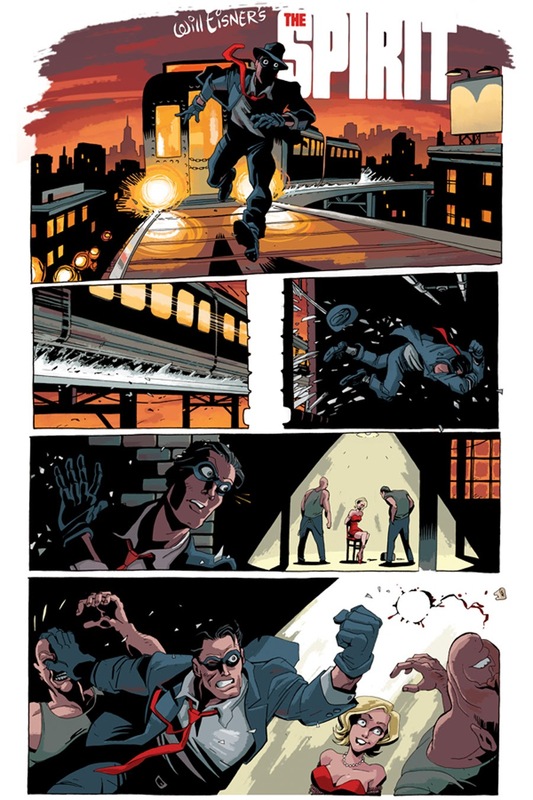 Matt is a multi-Eisner Award-winning writer/artist, and it's perfect that he is the writer of the ongoing series. Dan just captures The Spirit perfectly. Eric Powell, also an Eisner Award-winner, will be the main cover artist! His covers are so distinctive and amazing that he is definitely going to help each issue stand out," says Dynamite CEO/Publisher Nick Barrucci. 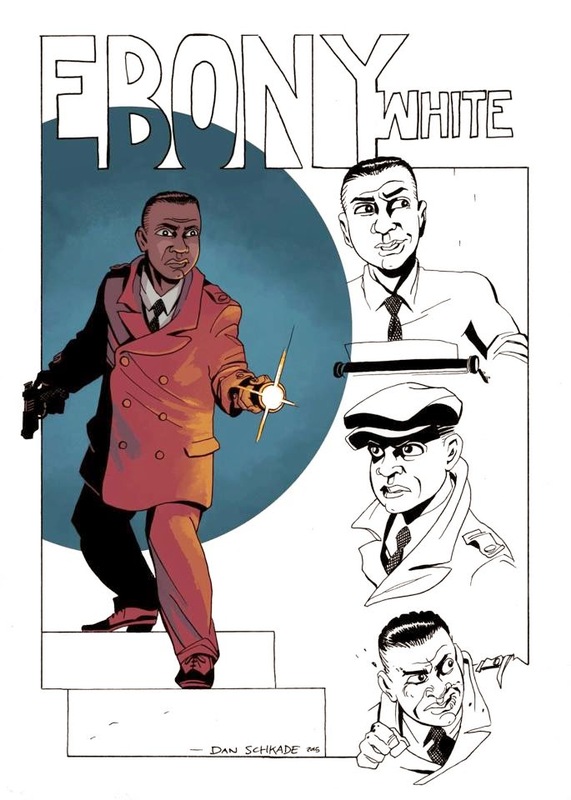 Set in the classic period of The Spirit's golden age, the 1940s, the first 12-issue story arc follows the strip's most beloved characters, Commissioner Dolan, his daughter Ellen, Ebony White and Sammy as they attempt to uncover why The Spirit has been missing (and presumed dead) for the past two years. Has the famous blue-masked hero finally fallen victim to one of the malicious felons or beautiful femme fatales from his lengthy rogues' gallery of enemies? 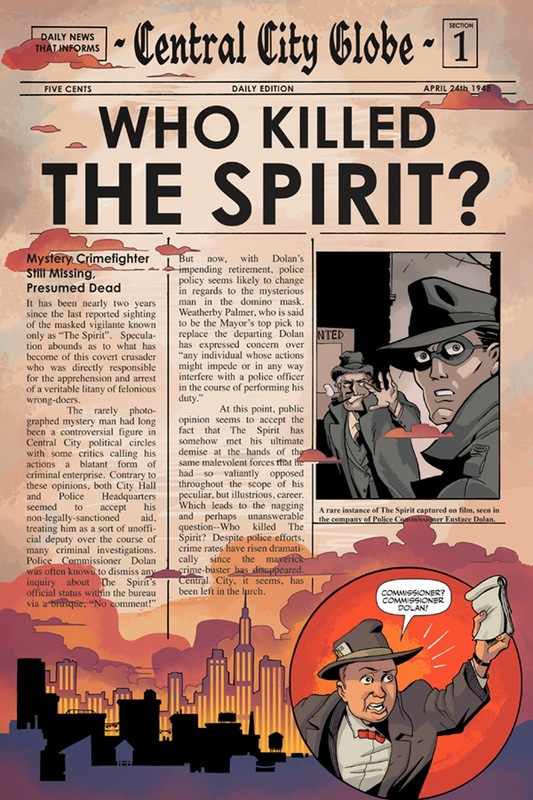 In the words of Central City's most prominent headlines: "Who Killed The Spirit?" 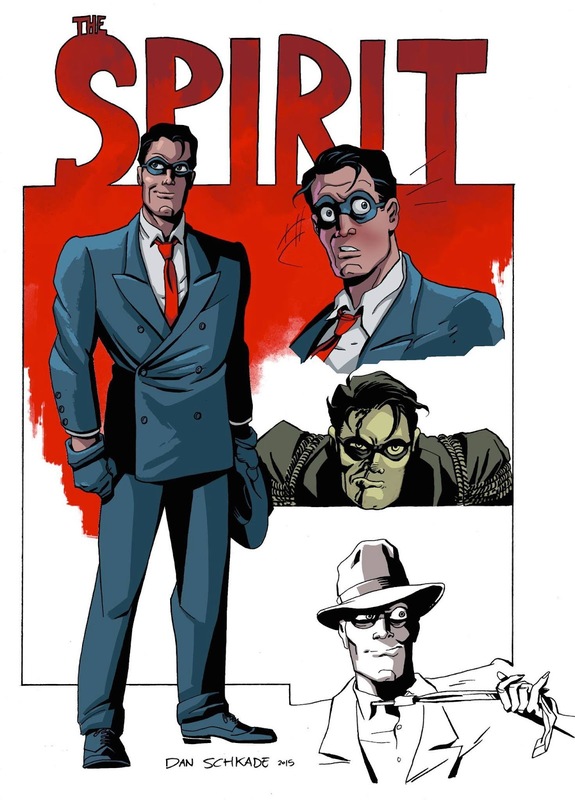 Will Eisner's The Spirit #1 will be solicited in Diamond Comic Distributors' Previews catalog, the premiere source of merchandise for the comic book specialty market. 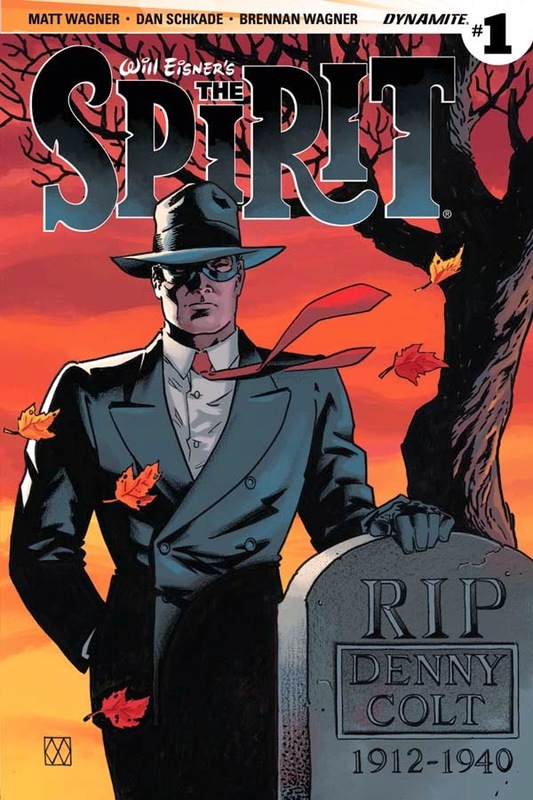 Comic book fans are encouraged to reserve copies of Will Eisner's The Spirit with their local comic book retailers. 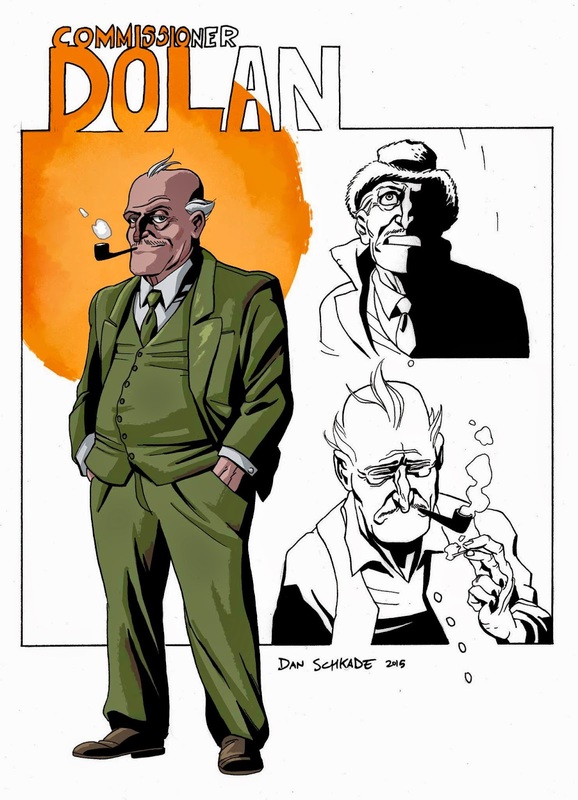 Will Eisner's The Spirit will also be available for individual customer purchase through digital platforms courtesy of Comixology, Dynamite Digital, iVerse, and Dark Horse Digital.